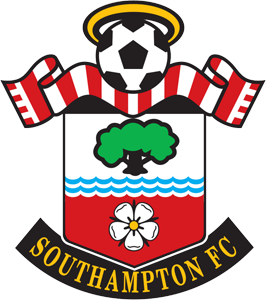 Premier League Preview for Southampton v West Ham along with Predictions for the matches on week 33 of the EPL. Follow up each match with results and video highlights posted later in the week. You can also check out the weekly EPL TV Schedule. Both of these teams look like they are clear of the relegation battle and trying to stay in the safety of the middle of the Premier League Table. At the moment Southampton have moved up into 11th with West Ham in 12th and only goal difference separating the two of them. Southampton has really picked up the results and some decent form after adjusting to the positive changes made by Pochettino. They have increased their pressing on defense and have been able to turn this around into a dangerous attack. West Ham are nearly opposite. Often sitting back to soak up pressure and then using a somewhat slow paced counter attack that often ends with a speculative cross directed towards Andy Carroll’s head. My prediction for this match is a Southampton win. I think they have the better attacking options and West Ham doesn’t have the speed to counter. West Ham’s best chances of getting a goal will be on a set piece. West Ham could frustrate Southampton by sitting back and defending, but I do feel the best they could get would be a draw similar to their last match against Liverpool. At this time Southampton is still a team that wants to put as much distance between themselves and the bottom and seem to have more motivation (and better form recently).